We all want to do our bit for the environment, and whilst we can’t all operate a circular economy like PPS Equipment who manage the complete package for returnable transit packaging, we can all lend a hand when it comes to reducing, reusing and recycling our waste. 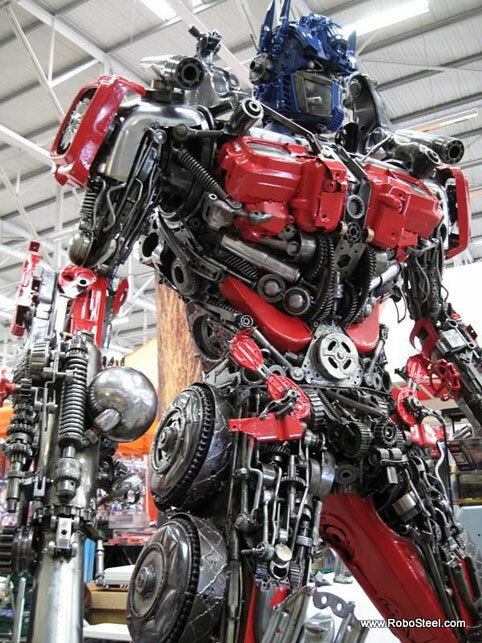 RoboSteel specialise in in replica sculptures of film characters such as Terminator, Alien, Predator, Star Wars and Transformers. 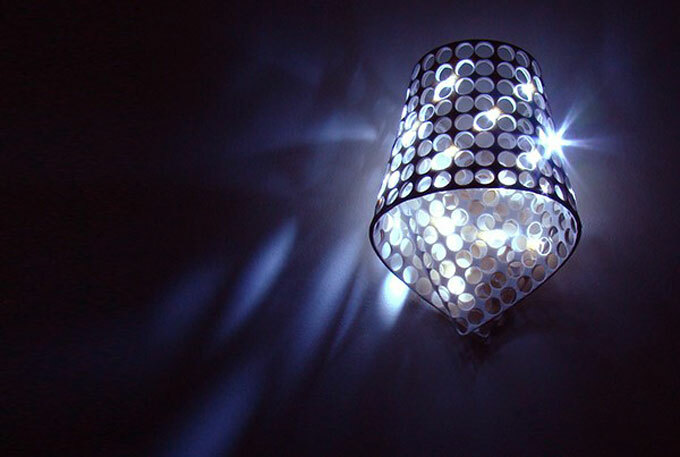 Their designs are made out of steel recycled from cars, motorbikes and airplanes. American artist Tom Deininger is a master of collage art. 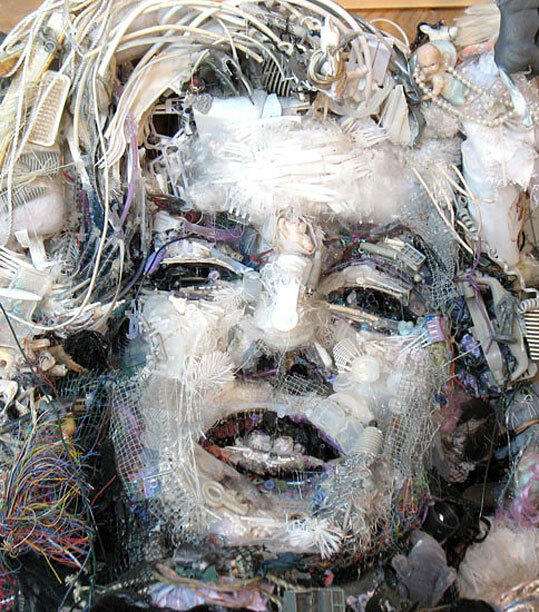 He turns discarded items into beautiful art. 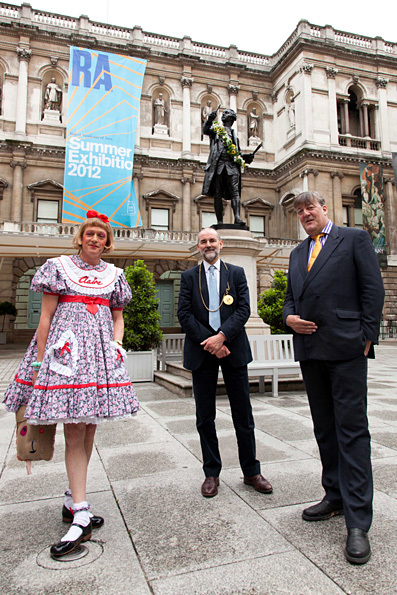 Tom’s work is in numerous public collections throughout the world. 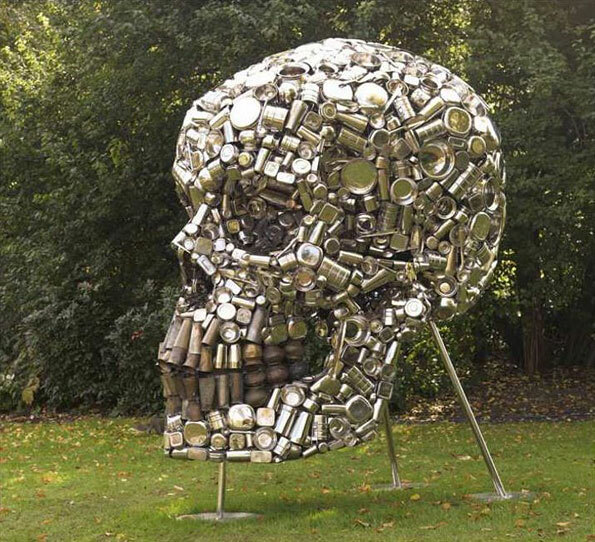 Indian contemporary artist Subodh Gupta uses recycled materials for his work. 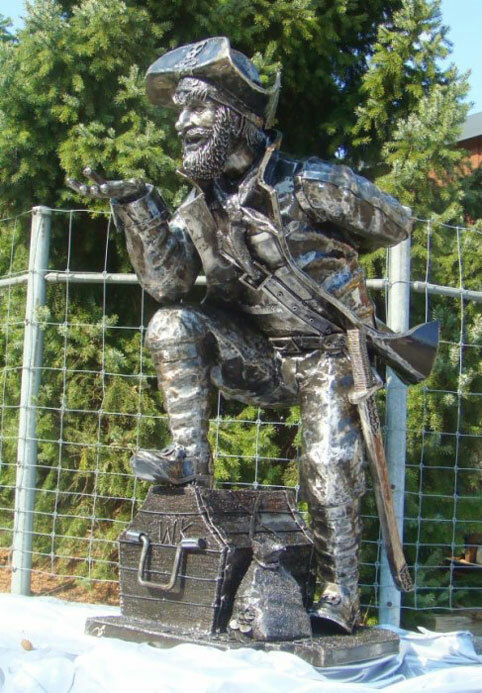 One of his more famous pieces if the ‘Very Hungry God’ which he built from hundreds of stainless steel containers. The masterpiece below weighs close to a ton and is very imposing at 94.5 inches in height. Norwegian artist Tone Holmen’s work deals with climate change, maps, geography and landscape, influenced by her experiences where she grew up. 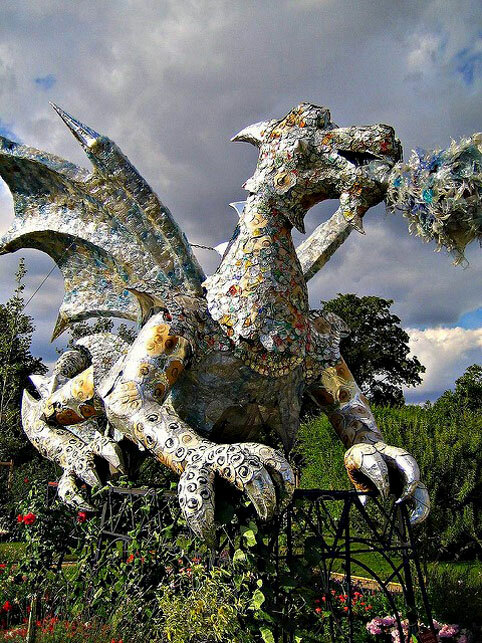 This incredible dragon sculpture is made solely out of aluminium cans and is located in the Paris Zoological Park at the Jardin de Plantes. 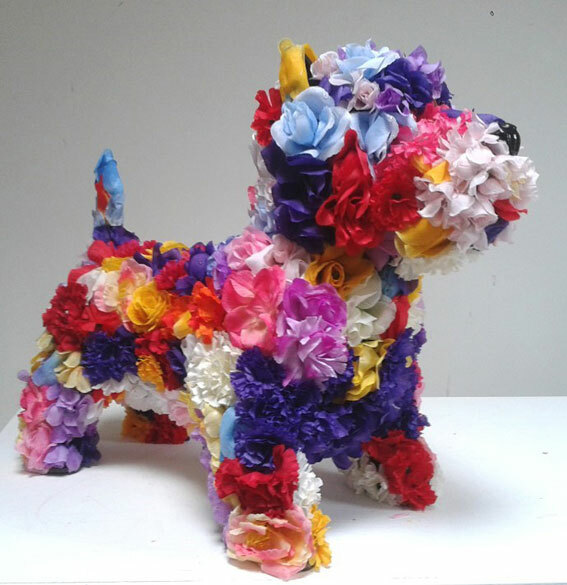 British artist Robert Bradford uses discarded children’s toys to craft his colourful works. 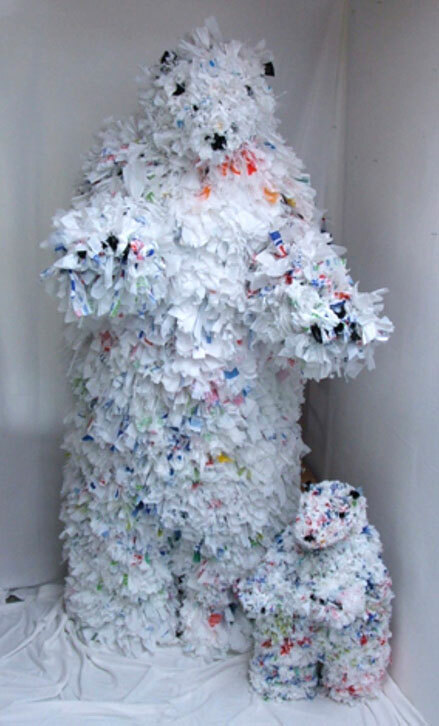 Robert has created a number of life-sized and supersized sculptures of animals and people using these discarded plastic items. 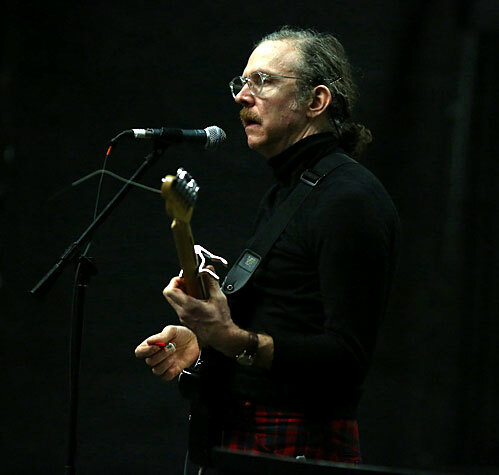 A duo of Cuban artists, Guerra de la Paz, or ‘War of the Pearce’ in English, consists of Alain Guerra and Neraldo de la Paz, have been working together for more than two decades now. 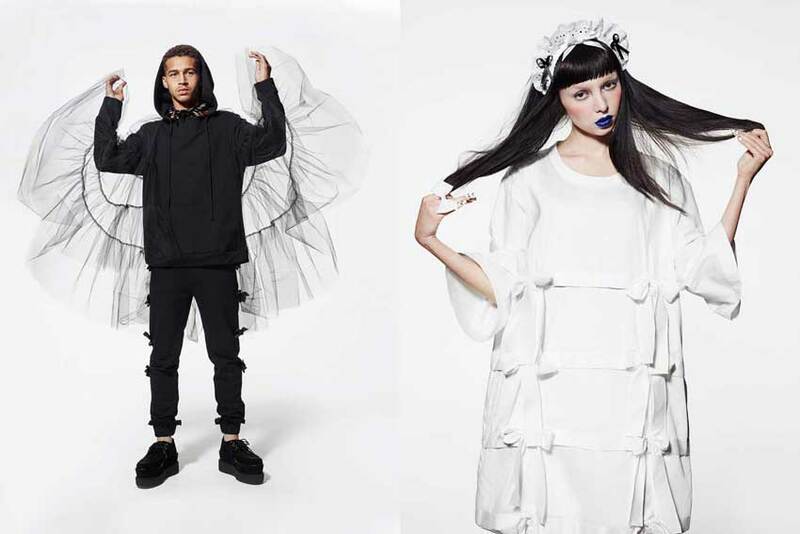 Discarded clothing is their main material for the beautiful recycled are they have produced. 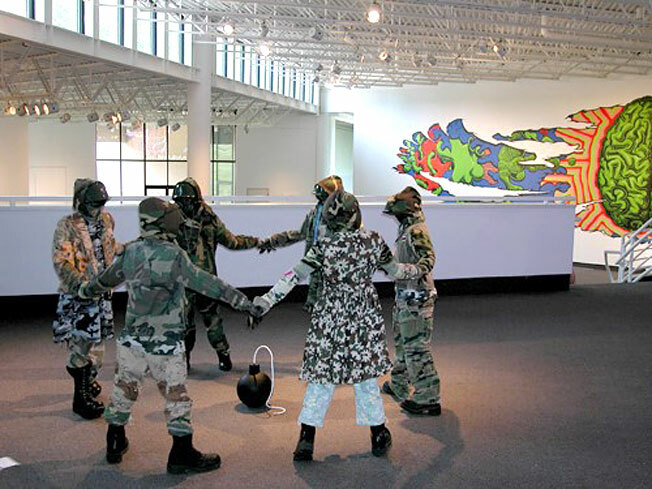 One of their more famous pieces if Ring Around the Rosy (below) which uses discarded camouflage clothing to represent the millions of faceless soldiers engaged in battle every day. Contemporary American artist Lin Evola is best known for making sculptures of angles from melted weapons. These include melted guns and even nuclear weapons casings. 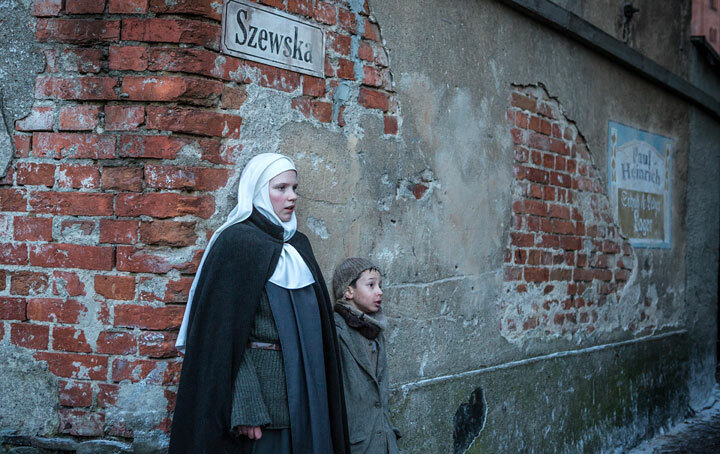 She has even been honoured at the United Nations for her work. 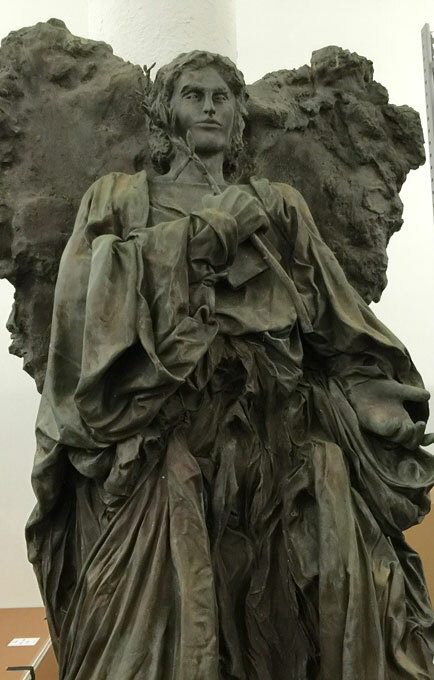 Best known for her Renaissance Peace Angel sculpture (below), Lin Evola founded the Peace Angels Project as her way of promoting world peace. 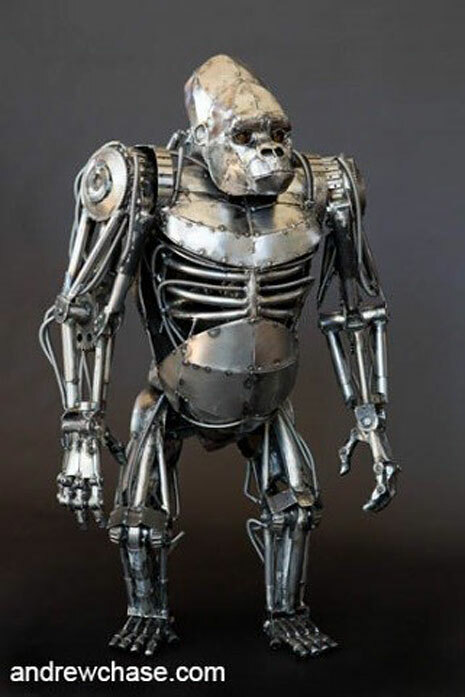 American artist Andrew Chase has made a number of impressive animal-inspired steampunk sculptures from recycled metal. Not only does his artwork look mechanical, they also work in a realistic manner. His sculptures include a dog, lion, gorilla and even a dinosaur! 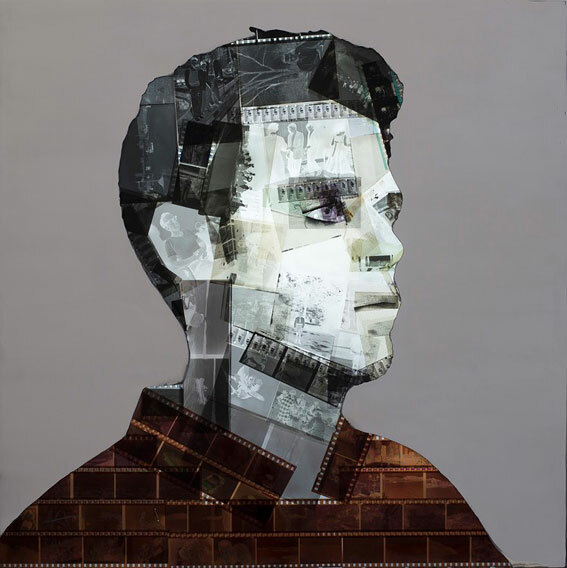 British artist Nick Gentry constructs his paintings out of materials such as 35mm film negatives, VHS cassettes, X-ray prints and floppy discs collected from members of the public. Recycle Art weld together scrap car and motorbike parts, screws and wheels to create unique and original sculptures. 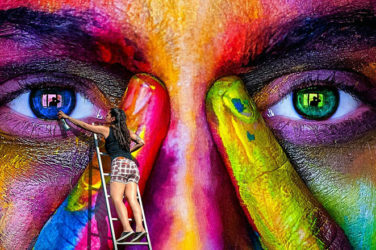 These works of art can be as high as 8 metres. South Korean artist Jean Shin is known for transforming everyday objects into elegant art. She has worked with vast collections of prescription pill bottles, sports trophies and sweaters, though one of her most recognised pieces consisted of 78 RPM records. 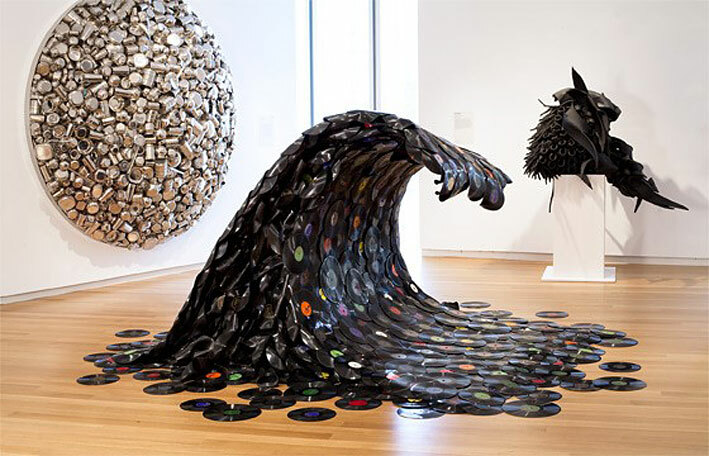 The Sound Wave (below) stands at 5’2” in height, made by melting and sculpting records to form a cascading wave. 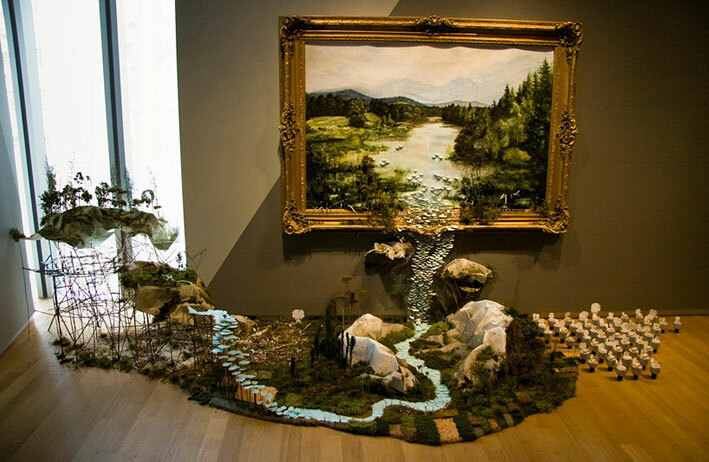 American contemporary artist Gregory Euclide made Microcosmic World Park from trash he found in Central Park. It is 7 feet in length and resembles an amusement park. On the right-hand side of his work are several plastic bottles cut and clustered together. Other trash from Central Park used in this work include plastic, sponge and even fertilizer. Italian designer Sara Bergando specialises in product design, including furniture crafts and industrial. Born in Japan, artist Youken Teruya graduated from the New York School of Visual Arts with an MFA in 2001. Of the several solo exhibitions over the world he has had his work featured at the Josee Bienvenu Gallery, New York, the Pippy Houldsworth Gallery in London and The Ueno Royal Museum in Tokyo. 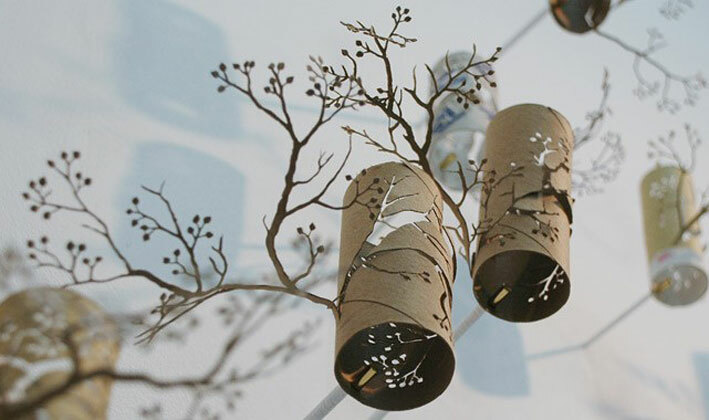 Working from his studio in New York City, one of Yuken’s most famous pieces are these toilet rolls sprouting and spreading branches to create a forest with immense beauty. 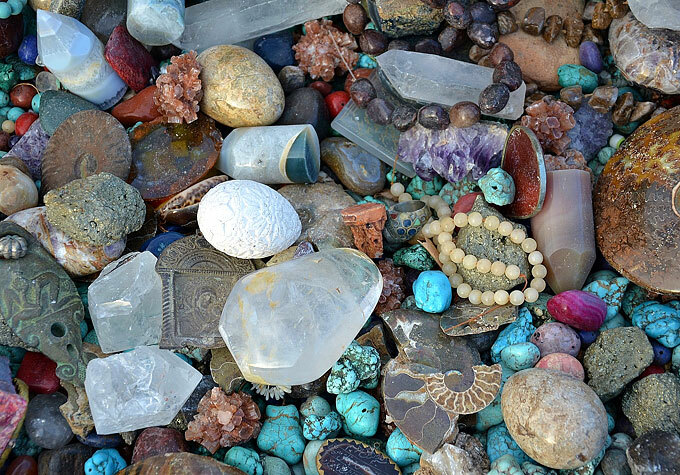 Healing crystals for weight loss: Is there anything in it?